For rich corporate executives, fine food, expensive wine and five-star hotels come as standard. But one discerning top boss with a spare $300,000 (260,000 euros) will give up creature comforts for a night in the cramped prison cell that was Nelson Mandela’s home for 18 years. South Africa’s first democratic, black president was kept on South Africa’s Robben Island prison off Cape Town for much of his 27-year incarceration. A night in his iconic 8-foot by 7-foot (2.4 metres by 2.1 metres) concrete cell will now be auctioned for charity to mark the centenary of prisoner number 46664’s birthday. “The suggestion was to auction the cell to raise money to fund the Prison-to-College Pipeline… educating incarcerated people in South Africa,” said Liane McGowan, spokeswoman for the CEO SleepOut South Africa adding that details of when the one night only fundraiser will take place, had not been finalised. The winner will spend one night in Mandela’s cell number seven, while up to 66 other bidders will sleep elsewhere in the island prison that is now a museum and World Heritage site. The Museum’s management could not be reached for comment. The Nelson Mandela foundation said it was not a part of the initiative and could not be responsible for the usage of Mandela’s cell. The Robben Island event will raise funds for the Prison-to-College Pipeline (P2P), a scheme that began in New York to help prisoners access university-level education. 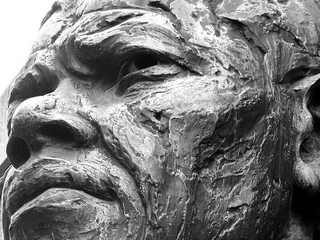 The P2P initiative will be launched in South Africa on 18 July, Mandela’s birthday. The base was raided by apartheid security forces in 1963 and several anti-regime leaders faced the courts at the so-called “Rivonia Trial” which resulted in Mandela being jailed for life.